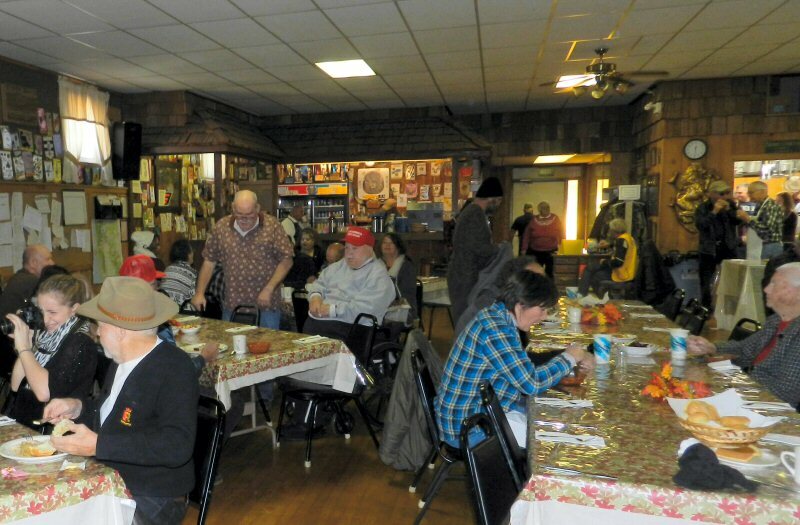 The Lions Club of Burney served a delicious Thanksgiving dinner to more than 100 people at the Lions Hall in Burney from noon to 3 p.m. In addition more than 70 meals were delivered to people who were housebound. Lions cooks prepared turkey, mashed potatoes with gravy, stuffing, salad. dinner rolls and cranberry sauce. After the main course dinners had their choice of pumpkin, cherry, berry, apple, or coconut cream pie. Members of the Leo’s Club served the meal and tended the tables. God bless the Lions for providing this wonderful annual community event.